The iPhone 6 isn't the only smartphone to crack under pressure. The new Galaxy S6 Edge will bend to the point that it is permanently deformed when applied with 110 pounds of pressure, according to a test conducted by mobile insurance company SquareTrade Labs. That's the same 110 pounds of pressure that it takes to bend and deform the iPhone 6 Plus -- the subject of last fall's infamous "Bendgate" controversy. But SquareTrade found that the iPhone 6 Plus could withstand more abuse before it broke beyond repair. 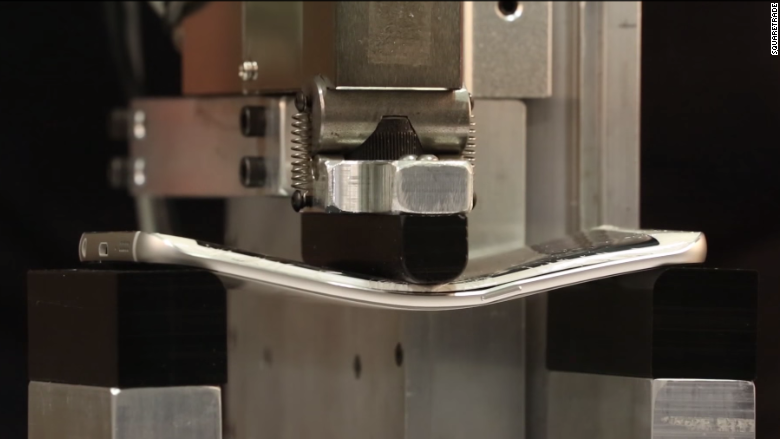 The Galaxy S6 Edge would bend to the point that it stopped working at 149 pounds of pressure. You'd have to apply 179 pounds of pressure to the iPhone 6 Plus to break it so badly that it no longer functioned. A Samsung spokeswoman did not immediately respond to a request for comment. "As manufacturers strive for larger screens on thinner devices, they can be more susceptible to bending or snapping," said Jessica Hoffman, head of communications for SquareTrade. "Bendability may be good in the yoga studio, but it is not what you want in a mobile device." To test the phones' breaking points, SquareTrade used a robot called the "BendBot," created by a robotics scientist from UC Berkeley. Bendbot simulates what happens to a phone when placed in a person's back pocket and accidentally sat upon. Bendgate caused a social media storm in September, as people posted photos of their bent iPhones. 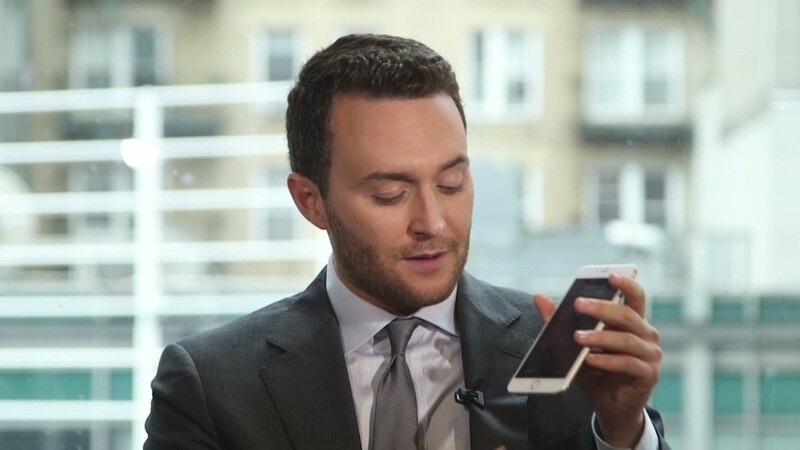 A YouTube video of a man bending an iPhone 6 with his hands quickly went viral. But Apple (AAPL) said just nine of the 10 million customers who bought iPhone 6 and iPhone 6 Plus smartphones in their first week of sale complained about bent devices. A week later, two British teenagers filmed themselves bending an iPhone 6 Plus in an Apple Store to the point that the screen started to pop out of the case. They posted the video on YouTube. Though both Apple and Samsung's new smartphones are somewhat easily bent, SquareTrade found that the new HTC M9 was harder to bend -- but easier to permanently break. The M9 only began deforming at 120 pounds, but that was the phone's breaking point as well. The power button popped into the phone, making it unusable.